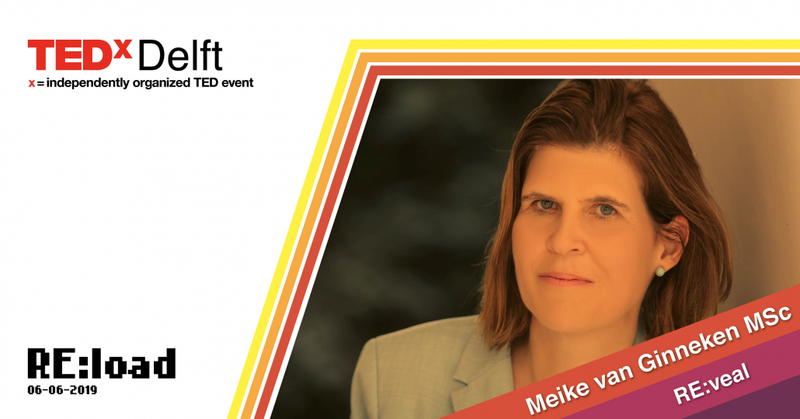 You are here: Home / News / TEDxDelft 2019 / TEDxDelft Speaker Re:veal: Ms. Meike van Ginneken MSc. Today we introduce Ms. Meike van Ginneken MSc. Understanding world data can be an antidote to negativity that you see on TV or social media every day. This talk provides a big picture on how the lives of billions of people have gotten much better in our (your!) lifetime – and where more needs to be done. Meike van Ginneken MSc is passionate about fighting poverty. For 20+ years of her career, spanning five continents she has helped large numbers of people gain access to energy, water, and sanitation services. She has lived in Bangladesh, Cameroon, Central African Republic, Colombia, El Salvador, India, Israel, Sudan, Tanzania and the USA. Meike van Ginneken is currently the Chief Executive Officer of SNV, a leading development organisation based in The Netherlands. Previously she held various leadership positions during her sixteen years at the World Bank, including leading its energy program in West- and Central Africa from 2012 to 2016. Earlier she has worked for the Global Water Partnership and Doctors Without Borders. She has a record of building multi-stakeholder alliances and driving operational excellence. She holds Masters Degrees in Civil Engineering (from Delft University, The Netherlands) and Change Management (from HEC Business School in Paris, France).